We’ve learned to expect the unexpected with the things we’re asked to 3D print. We’ve also learned the importance of collaboration. When guitar designer Neil got in touch, we could see the potential straight away. We know the capabilities of the kit in our Lab and we know an exciting, innovative idea when we see one too. Traditionally, electric guitars are made from a block of solid wood. Gibson’s Les Paul, for example, uses mahogany topped with a layer of maple. Natural products, however, though rich, tactile and characterful, do present the twin challenges of consistency and stability. The mahogany used by Les Paul has to be kiln dried for between 7 and 45 days to reach the desired 8 to 10% moisture content. The guitar neck must be precisely carved and joined closely enough to create maximum contact with the body so that together, they act like a single piece. Highly skillful craftsmanship, time consuming work and therefore pretty expensive for the customer. But what if guitars were made differently? What if additive as opposed to subtractive manufacturing was used? 3D printing allows designers to totally rethink the manufacturing process. Step forward Neil Hewitson and The Zero guitar. 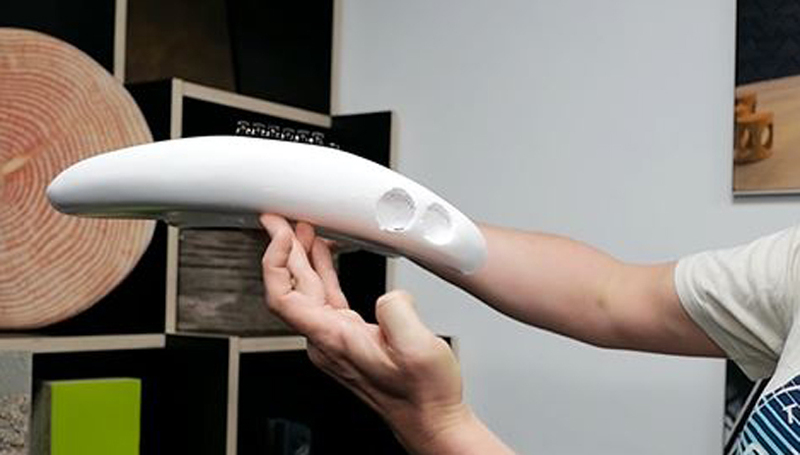 By using Fluxaxis 3D printing, Neil has been able to develop a new, ergonomic design, the curved back of his prototype guitar body moulding to the body of the musician. These days, with so much of the guitar sound produced and manipulated through different types of pick ups, pedals and effects, does the material of the body figure as strongly in the quality of sound as it did in the past? Regardless of your take on this potentially contentious point, 3D printing is certainly offering up many avenues for the evolution of guitar design. 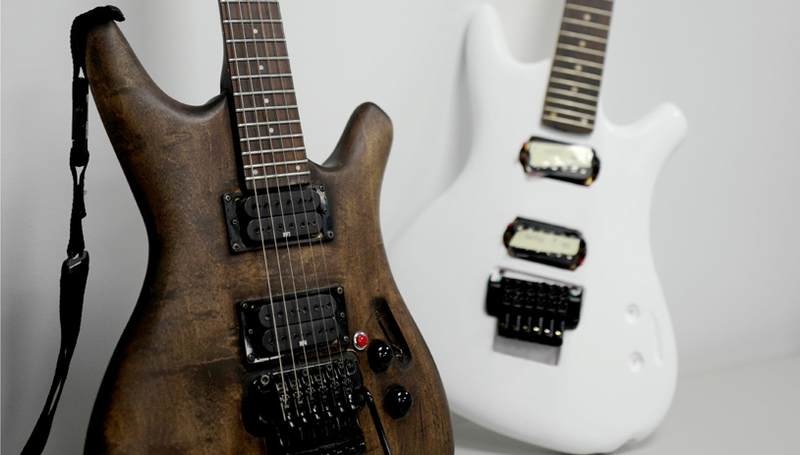 With 3D scanning as well as printing, the potential for personalisation is most definitely there, with the chance to print bespoke custom-shaped guitars to suit each individual. And as a relatively speedy means of manufacture, similarly the opportunities for mass production should not be overlooked. Meanwhile, we’ll be working with Neil on the next stage of his prototyping journey. Watch the video to find out more! If Neil’s design has piqued your interest, he’s currently looking for funding to progress the design even further. Get in touch. 'What's cooking?' is where we keep you up-to-date and share news and articles that inspire us.